O jornal britânico The Guardian, uma referência incontornável do jornalismo internacional, publicou na sua edição online do passado sábado uma entrevista com Patti Smith, sem dúvida na sequência da publicação e reconhecimento do seu livro Just Kids (ver posts anteriores sobre este assunto). Ficam alguns excertos desta longa mas muito interessante entrevista, que merece ser lida com atenção e na íntegra. "(...) a couple of people "saw potential in me and offered me quite a bit of money to do records as early as 1971, '72, but not in my own way. They would have a vision of me – a pop vision, or how they could transform me, and the money didn't tempt me." Was there ever a moment when that was quite a hard choice? "No." The answer is sharp, immediate. "If somebody said I'll give you a million dollars, but you have to go against your own grain, you just have to do what I say – it would take me one second. I've never been tortured by something like that. Tormented more about what line to use in a poem, or the right word to use in a sentence. All I've ever wanted, since I was a child, was to do something wonderful."" "(...) William Burroughs, whom she encountered when she and Mapplethorpe were living at the Chelsea Hotel; from him "I learned more about how to conduct myself, how to make the right choices in terms of – keeping your name clean. William said, 'If you keep your name clean, your name will be worth more someday. If you keep your name clean, it will always be of use.' And even though my name's only Smith, I have found it useful."" 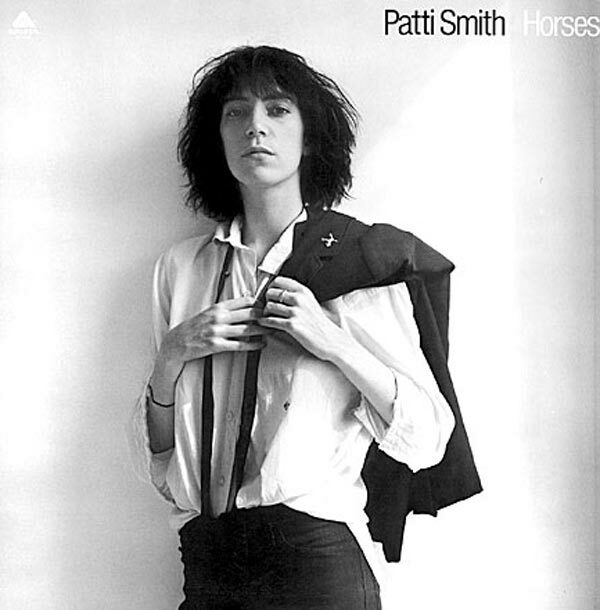 "Horses, as well as regularly being cited as one of the best debut albums ever, had a cover photo taken by Mapplethorpe that became an instant classic. "It was the most electrifying image I'd ever seen of a woman of my generation," Camille Paglia once said. It "immediately went up on my wall, as if it were a holy icon. It symbolised for me not only women's new liberation but the fusion of high art and popular culture." 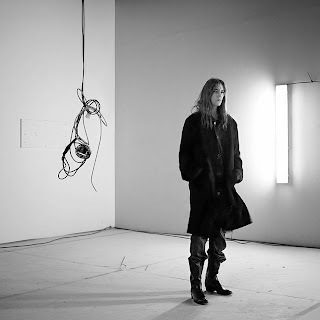 "(...) Polly Harvey's new song – she has this new song, The Words That Maketh Murder – what a great song. It just makes me happy to exist. Whenever anyone does something of worth, including myself, it just makes me happy to be alive. So I listened to that song all morning, totally happy." Fica a recomendação e, já agora, o vídeo de "The Words That Maketh Murder", tema do mais recente trabalho de PJ Harvey, intitulado Let England Shake, com lançamento agendado para o próximo dia 14 de Fevereiro. Harvey virá a Portugal para dois concertos já esgotados, a 25 e 26 de Maio, na Aula Magna.